The direct sequel to Microïds’ acclaimed 2002 title, Syberia II came out two years after the original to continue Kate Walker's journey through the frozen Russian wilderness to discover once and for all if mammoths still exist. Now travelling alongside an eccentric aged inventor and the automaton Oscar (plus an adorably furry youki), Kate’s ongoing adventure is a direct extension of the first story, creating a seamless artistic connection between the two. Beautifully serene, hand-painted worlds remain at the forefront of the experience, paired with top-notch writing and sound to create a memorable melancholy atmosphere that few games can rival. 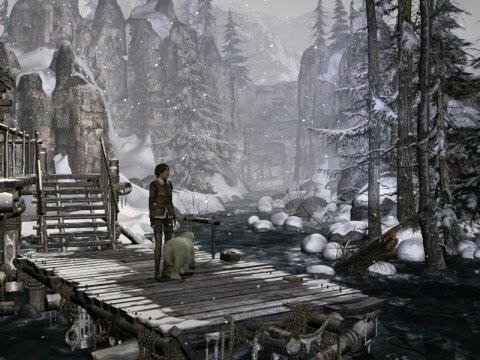 Where the game does change things up is by taking a jumping off the wind-up train tracks for treks through the tundra, a run-in with a friendly pilot, a harrowing encounter with a bear, and crossing paths with a couple ivory poachers intent on finding Syberia and its mammoths for themselves. Time is of the essence as well, as her sickly companion may miss out on his only goal in life if Kate cannot find a way to heal him and deliver him safely to the land of his dreams. 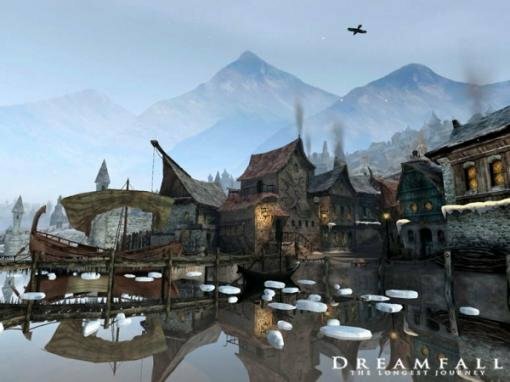 The more adventurous storyline is matched by an increased emphasis on puzzle variety and challenge, making Syberia II a more substantial gameplay experience. This new focus does come at the expense of some character development, though having made her life-altering decision the first time around, Kate’s singleminded purpose is understandable. While its predecessor was sometimes criticized for its cliffhanger ending, Syberia II's final sequence is a moving finale, and there are several powerful emotional moments along the way, including a heart-rending sacrifice made by one character in particular. Together with its predecessor, Syberia II is half of a defining work by a true adventure game visionary. Sure, there may still be lots of scenery with little interaction, but the two parts form a classic unlike any other, and the final moments are a worthy reward for seeing the journey through to the end. The celebration of “Samorost Day” has been a running gag around Adventure Gamers for years, but not without cause. 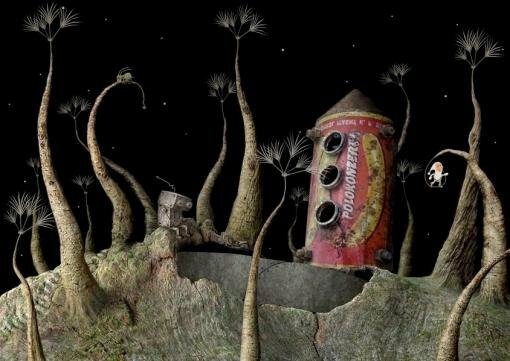 The original browser-based Samorost by indie Czech studio Amanita Design took the site by storm in 2004, and its successor upped the ante in every conceivable way. Yet on the surface, it would seem the sequel has no business being so good. It’s very short and has no story to speak of, as a little gnome attempts to retrieve his stolen dog from spacefaring aliens, then find his way home again from an unfamiliar planet. There is no dialogue or inventory, or even much exploration, as you’re usually confined to just a single screen at a time. So why the heck is Samorost 2 so great? Simple: its stunning artwork, enchanting levels with charm oozing out of every pore, and inventive puzzles that use the streamlined Flash interface to wonderful effect. Oh, and did we mention half of it was free? Usually you can separate adventures into two camps: solitary first-person adventures with obtuse logic puzzles, and third-person adventures with a heavy emphasis on inventory puzzles. Kheops Studio’s Return to Mysterious Island pitched those distinctions out the window in 2004, with delightfully surprising results. After a shipwreck, a young woman named Mina washes up on a deserted island, where she needs to survive on whatever the island offers her before she can even begin thinking about finding a way off. 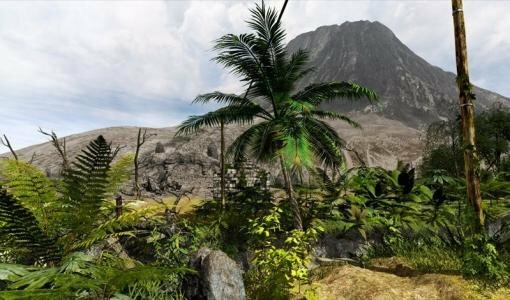 While thoroughly exploring to find crucial items, you will traverse beautifully rendered coastal shorelines, tropical jungles and underground caves. You’ll also discover this island is the one Captain Nemo's submarine “The Nautilus” was stranded on ages ago. Remnants of the surviving crew’s habitation are everywhere, including equipment and notes on how to use them. So far, so very standard first-person. Where Return to Mysterious Island really veers off the beaten path is in its brilliant inventory use. Collectable items abound, most of them needing to be combined or disassembled to create complex new objects, often with multiple solutions leading to the same goal. While most games treat combinations as simple “Use X on Y” exercises, here each construction is an actual recipe. Connect two compatible items and a formula appears telling you how many items are needed to succeed, without actually telling you exactly what those items are. It’s an inventory puzzler’s dream, and great fun to tinker with dozens of ingredients until you get it right. You’re not entirely alone, either, as you’ll nurse a cute little monkey back to health, who then pitches in as a functional inventory item himself. The endgame includes a deluge of logic puzzles and complex riddles for a little variety, but the true joy of the game is its unbridled MacGyverism, with a welcome sense of sense of realism, immediacy and tangible consequence that most adventures lack. It took seven years, but fans of Funcom's The Longest Journey saw their dreams of a sequel realized in Dreamfall: The Longest Journey. Yet it is a much different game than its classic predecessor, in every conceivable way. April Ryan, the intrepid ingénue from the first game, is battle-scarred and world-weary, and this time around she’s joined by the mysterious assassin Kian and the rudderless but loyal Zoë Castillo. All three are playable characters, and as you follow the metaphysical and literal journeys of each, you begin to unearth the secret world that connect dreams to reality. Ragnar Tørnquist once again proves himself a master storyteller with enough imagination to fill two worlds: the futuristic Stark and the fantastic Arcadia. As you shuttle between the two, you begin to catch glimpses of how these worlds are tied together even as you occasionally stumble upon a vague in-between realm that may hold the answers to the strange forces that threaten to unravel both worlds. Complementing the fabulous voice acting and immersive sound work, the game’s move to a full 3D environment gives the complex story room to breathe. The world you explore is gorgeously cinematic and totally immersive, at least once you get used to the keyboard and mouse (or gamepad) to move and control camera angles. Adventure gamers may hesitate over a game that includes brief fighting and stealth sequences (none requiring fast reflexes, and many of them avoidable to begin with). However, these elements are brief and help bring tension and a sense of urgency to a story that still includes its fair share of inventory puzzles and long dialogues with a variety of characters like Wonkers the Watilla, a robotic toy gorilla that has been with Zoë since she was a child. Don’t let the less traditional adventure elements scare you away; with its complex tale of three characters struggling to find balance between loyalty and love, between honor and morality, Dreamfall achieves just the right balance between wonderful storytelling and immersive gameplay. If this game were simply called Nemesis, it would be widely acclaimed as one of the best puzzle-adventures ever made. It still is, of course (as evidenced by its presence here), but there are some who just can’t reconcile its dark, at times disturbing atmosphere with the wacky world of Zork. And indeed, beyond a few subtle references, Activision’s 1996 game has nothing in common with its predecessors, making it more a spin-off adventure than genuine sequel. 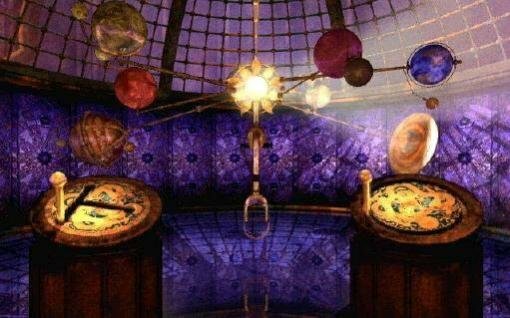 Taken purely on its own terms, however, it’s an excellent example of what can be done by pushing the solitary, puzzle-centric Myst formula in new and interesting ways. The Great Underground Empire’s four top alchemists have all disappeared in the Forbidden Lands, and it’s your job to seek them out. Unfortunately, you soon discover that they’re dead, or at least trapped in a sort of undead captivity by an evil entity called the Nemesis. Guided by their spirits, now only you can complete their work by retrieving the items needed to resurrect them, though the more you follow in their footsteps, the more you come to question their motives as well. Your travels take you through four distinct realms representing the natural elements, including such locations as an asylum, castle, monastery, and a musical conservatory. These aren’t whimsical fantasy settings, however. Evidence of torture and cruelty is everywhere, and you’ll be required to behead a corpse with a guillotine yourself. (But hey, is that worse than being eaten by a Grue?) All this is observed using the game’s proprietary Z-Vision Surround engine, which in its day helped pioneer the now-common 360-degree, node-based camera panning, with over an hour of full-motion video sprinkled in between. A haunting musical score rounds out the ominous mood and provides the backdrop for the many challenging puzzles that await. Some of the game’s 65 challenges are quite difficult, making for a lengthy, substantial adventure before reaching the stunning conclusion, by which point you’ll be questioning everything you thought you knew. It may not be very Zorkian, but when games are this good, does it really matter what they’re called?